KAMAPALA – Uganda Revenue Authority (URA) Football Club have completed the signing of Paidha Black Angels captain Cromwel Rwothomio. Rwothomio who plays across the forward line thus becomes the Tax Collectors’ first signing in the current transfer window. URA are believed to have fended off competition from SC Villa who were in pole position to sign the striker. 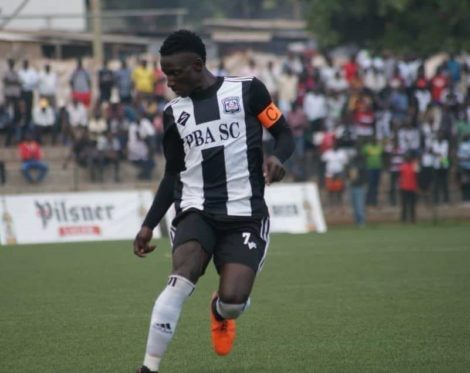 Rwothomio was a second option to Bright Stars’ Brian Kayanja and as soon as the deal for Kayanja fell through, the Tax Collectors moved fast in for the Arua based forward who they get at a whopping 14 Million. He joins an attacking force featuring Mathew Odong and Joackim Ojera and he will indeed add value to the team which struggled for goals in the early part of the season. Rwothomio becomes the third player who have previously played at Paidha Black Angels to feature at URA. The other two being Vitalis Tabu and Villa Oromochan. URA takes on Vipers this Friday at Mandela National Stadium, Namboole, in their last game of the StarTimes Uganda Premier League first round. In their first 14 matches, the tax collectors have managed 21 points and currently sit 6th on the 16 team log.